- In the sunlight and shade of the dappled grove, you find an overwhelming sense of peace and purpose. Here in the woods is where you feel most at home. 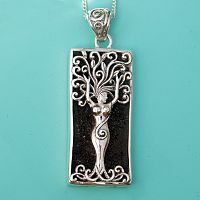 Perhaps, like the graceful tree spirit of the sterling Silver Dryad Pendant, you are destined to forge a special connection with the living forest. 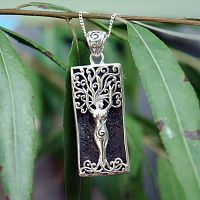 Do you hear the call of the woods? 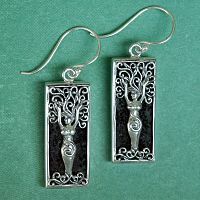 The dark background behind the silver is actually lava rock. This is a porous natural substance that is ideal for on-the-go aromatherapy. 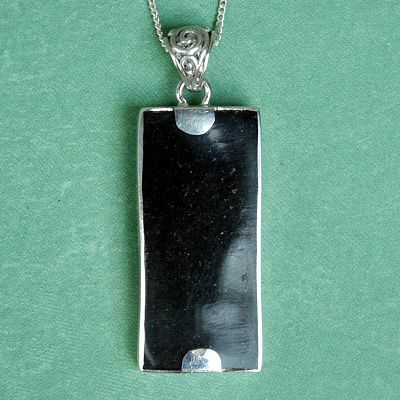 Simply place a drop or two of essential oil or fragrance oil on the lava rock, where it will be instantly absorbed. Then, as you go through your day, the aroma from the oils is released, uplifting you with its therapeutic effects. If I use oil on the lava rock, will it seep through and stain my clothes? No! 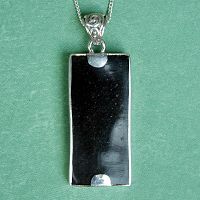 The back of the pendant is sealed with resin to prevent the oils from soaking through. 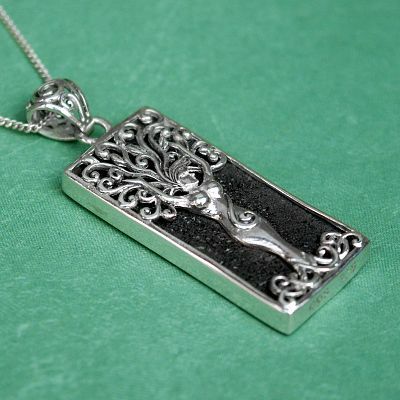 You can wear it without worry. 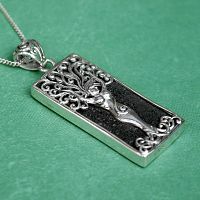 How large is this pendant? 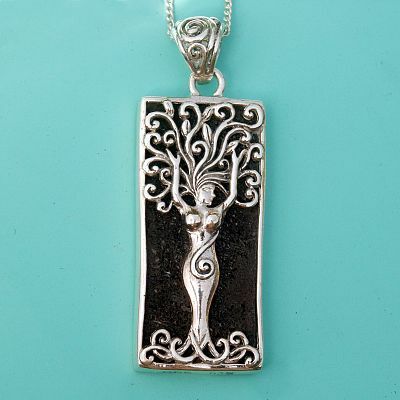 The Silver Dryad Pendant measures 1 3/4" tall, including the bail, and it comes with an 18" sterling silver chain. 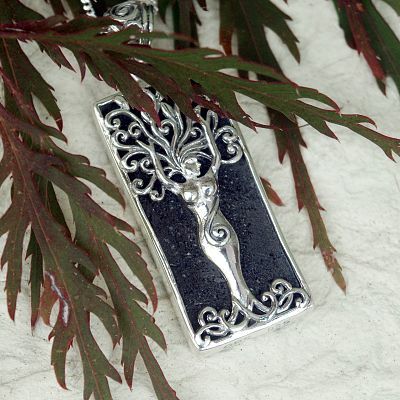 Do you have any other questions about our Silver Dryad Aromatherapy Pendant?